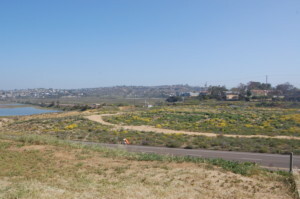 SOLANA BEACH — Improvement plans for a 3.44-acre vacant parcel at the northeast end of the city forged ahead at the Feb. 28 meeting, with council members approving the necessary permits for habitat restoration, minor grading and trail upgrades. Once completed, the project will feature 2,080 linear feet of improvements through the triangular lot and a 780-linear-foot extension of the Solana Beach Coastal Rail Trail on the western boundary along Coast Highway 101. Associated amenities include signage walls, donor and dedication areas, a view deck overlooking the San Elijo Ecological Reserve and the Pacific Ocean, an information kiosk and benches. 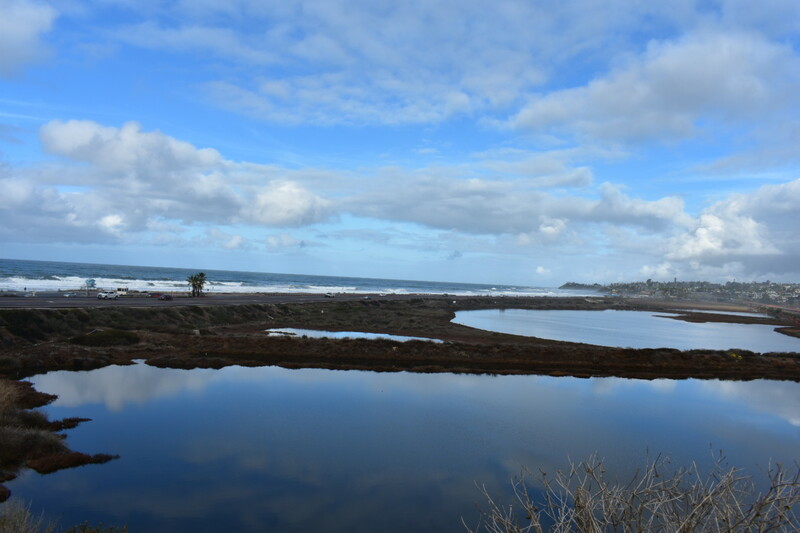 The trails will provide a connection to the San Elijo Lagoon Conservancy’s existing system in the reserve via North County Transit District’s newly built railroad pedestrian underpass. It is anticipated the extension of the Coastal Rail Trail would connect to a future Highway 101 crossing, providing access to Cardiff State Beach. The property was home to a gas station in the 1950s and ’60s and a fruit stand in the ’70s. In 1982, San Diego County and the California Coastal Commission approved a project known as Sandcastle Resort for the site. Although it was never built, it concerned many residents. Subsequent county approval of a 170-room Inn Suites on the parcel in 1985 prompted Solana Beach to seek and obtain cityhood a year later to ensure control over development within its borders. The first act of the newly created City Council was approval of a moratorium that stopped all development in Solana Beach. A scaled-down version of the Inn Suites project was eventually approved, but the company went bankrupt and the bank foreclosed on the property. In 1996, Arizona-based Magellan Solana Beach purchased the lot for $2.8 million and about five years later submitted permit applications for a large hotel-condominium. It was the first of many projects proposed by the company that never came to fruition. Asked at least twice about selling the property, Magellan said in early 2000 it wouldn’t consider any offers less than $7 million. Six years later the company stated in a letter to the city that it had a third-party appraisal for the property “as is” for $17.2 million. Magellan then underwent some restructuring and was renamed Gateway Resort Solana Beach. A permit application for another scaled-down project was submitted in 2005 before the real estate bubble burst. With an outstanding loan of about $5.2 million, the company negotiated a deed in lieu of foreclosure with Johnson Bank, which held the land until the San Elijo Lagoon Conservancy purchased it Dec. 28, 2011, for approximately $4 million. About a dozen “generous community members” provided loans ranging from $50,000 to $750,000 to save the site from proposed development, said Jennifer Bright, the conservancy’s development director. The property was renamed Harbaugh Seaside Trails in 2015 in honor of a $1.15 million donation from the George and Betty Harbaugh Charitable Foundation, which helped pay off the loans. With feedback from community and stakeholder meetings, the conservancy released a proposed restoration plan in December 2016. Doug Gibson, the conservancy’s executive director, said at the time he hoped construction would begin in June or July 2017 and take approximately six months to complete. But the permit process took a bit longer than expected. According to current plans, asphalt from the old gas station and vegetation will be removed. The trail system will divide the lot into quadrants, with each focused on habitat restoration and native plants that include maritime scrub, maritime chaparral, maritime succulent and coastal dune. Grading could start in July if that happens. Once underway the project should take about a year to complete, Gibson said, adding that planting will begin in the fall. She noted it was more than 30 years in the making. “If there ever was a slam-dunk of doing something in the city of Solana Beach, this is it,” former Mayor Tom Golich said. “It’s really been a long effort,” Councilman Dave Zito said. “The end result is worth it. The city has earmarked a $1 million beautification grant from the state Department of Transportation for the improvement project. A little more than half was used to retire the conservancy’s debt to buy the property, Gibson said. The remaining grant money will almost cover the restoration costs, he added. Commemorative tiles are available for $2,500, $5,000 and $10,000. Call (760) 436-3944, ext. 708, for more information.